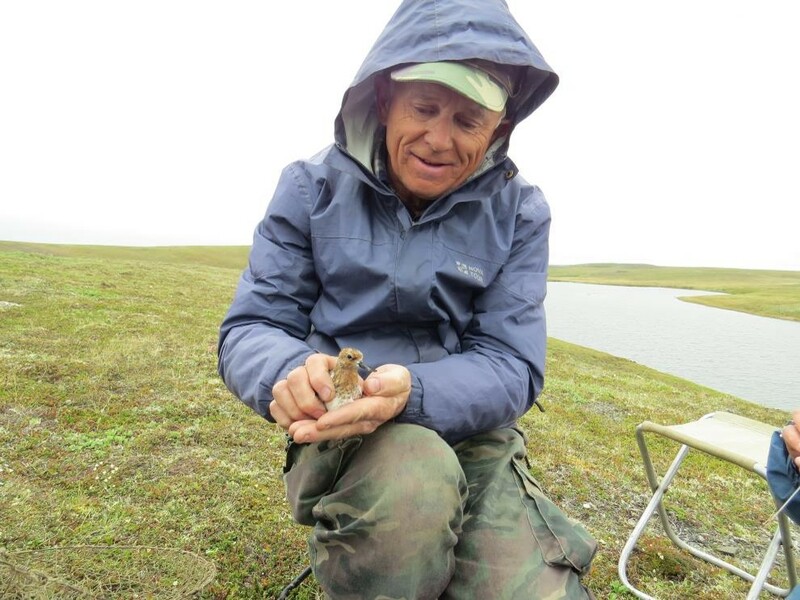 With funding from the Mohamed bin Zayed Conservation Fund, Nigel Clark has gone to the Spoonie breeding grounds to fit satellite tags to three breeding birds in the hope that we can learn where they stop on their migration south to the Yellow Sea. 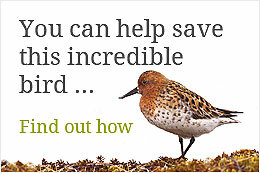 For more information on how the Mohamed bin Zayed Conservation Fund is helping spoon-billed sandpipers visit www.speciesconservation.org/case-studies-projects/spoon-billed-sandpiper/14719. Getting to remote parts of north-east Russia is never easy, but I was going to Meinypil’gyno where Roland and the Birds Russia team are working on the largest known breeding colony of Spoonies. All the organisation had been done by our partners Birds Russia – no simple task in itself. However, a couple of days before I was due to leave, the first problem arose when the Russian airline due to take us from Moscow to Anadyr, the regional capital, stopped flying as they had financial problems. After a lot of effort a solution was found involving a flight to Magadan, an overnight stay and then a flight to Anadyr the next day. This involved flying from a different Moscow airport but, as luck would have it, the timings worked out OK. I would have been lost trying to do this on my own, but Evgeny and Elena were going to Meina at the same time so I had expert guides. Magadan airport is an hour’s drive inland from the town as the weather is better away from the coast. This made for a fascinating drive through a landscape of larch and birch trees all stunted by the harsh winter weather. 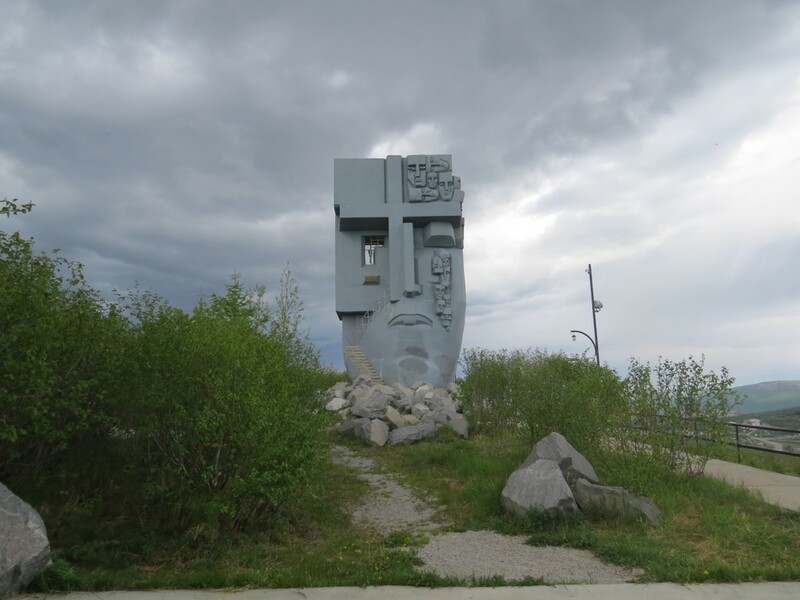 Magadan has a lot of history, being founded by people shipped to the gulags in Stalin’s time, with tens of thousands dying in the mines or just from the extreme winter cold. There were a lot of poignant monuments to those who lost their lives there. Monument to those who lost their lives in the Gulags. Photo by Nigel Clark. Next day we flew on to Anadyr with bright sun all the way. When we arrived we were hopeful that the helicopter would take us on the last leg the next day and it was bright and sunny when we got up. However, the news was that there was low cloud over the mountains and the flight might be cancelled – we took all our bags to the airport and hoped for the best. The helicopter flies at 1,000 metres through the mountains so the cloud base had to rise enough for us to fly below it. We waited in the hall with the other passengers, and a kitten, all hoping to go. A delay of an hour was announced, then another and then a third hour’s delay before finally we were told that there would be no flight that day. We still had many hours of good light so we went and surveyed a small valley near the airport that had historical Spoonie breeding records. Although it was close to a large mining village, we very soon came across the first displaying waders – mainly Dunlin, Red necked Phalaropes and Temminck’s Stint, but with several other species as well. There were also lots of wildfowl including a pair of swans which appeared to be a Bewick’s paired with a Whistling Swan. We sat and drank tea watching the fluttering display flights of the territorial Temminck’s Stints, accompanied by their charming twittering. That evening I learnt that if the helicopter did not go the next day, then it would not fly on the weekend and bad weather was forecast for the whole of the following week! Such a delay would have meant that it would be getting very late to catch spoonies, as we only wanted to tag birds whose clutch had just been taken for headstarting and been replaced by dummies. The following morning there was not a cloud in the sky, but our hearts sank when we got a message from the team in Meina telling us they had a sea fog and did not think that a flight was likely. We went to the airport anyway, and there was again a delay, but then things started to improve and to our pleasant surprise the flight was on. Two hours later we touched down in Meina, so five days after leaving London I was finally in the land of the spoonie. 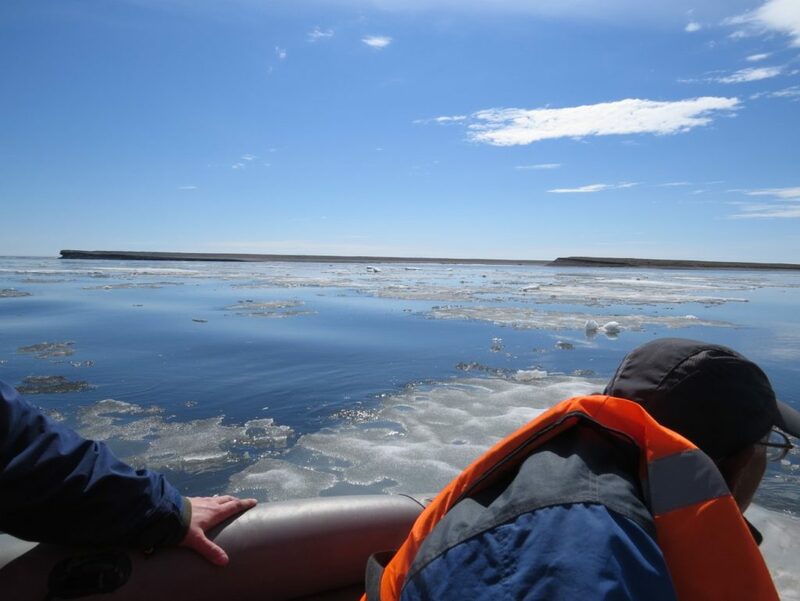 I had been lucky – in past years team members had been delayed for up to 20 days in Anadyr due to the weather! The team, who had already been in the field for a month, told us that it was a difficult year for the spoonies. The previous week there had been a flood – as rapid snow melt had occurred before the river outlet to the sea had been breached. It blocks each winter after storms and only opens when the local villagers make a channel once the frozen gravel thaws out. They had finally done this the day before and in a day it had gone from a trickle to a raging torrent 100m wide! The flood had wiped out many clutches before the team had managed to find them, so they had only found a few to take for headstarting. 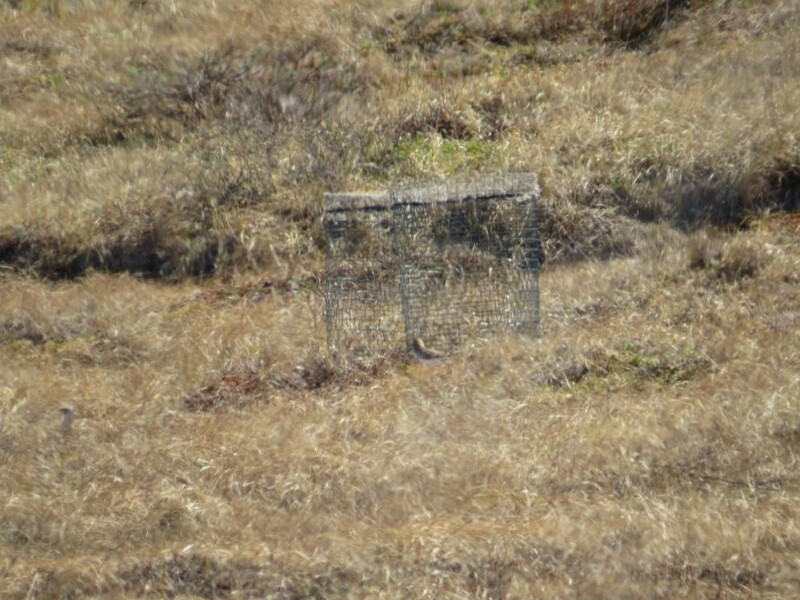 In the evening of the next day there was better news as two clutches had been found 25 km to the west of the village and the plan was for a team to go and collect the eggs for headstarting the following day, leaving dummy eggs so that we could go afterwards and trap and tag two birds. In the morning the weather was warm with a light breeze, just enough to keep the mosquitoes at bay. Our plan was take an inflatable Zodiac the 25km along the river that runs behind the shingle beach. When we got to the river we found a large amount ice flowing downstream, which made for slower progress for the first part of the trip. Catching the birds was relatively simple as Pavel and Egor were with us who are extremely experienced at nest trapping. We fitted the tags and then, after removing the dummy eggs, we went searching for other nests. Carefully negotiating the ice flows. Photo by Nigel Clark. The first bird we located was a male that had been headstarted, but had had leg problems so its flag had been removed leaving just a pink ring on its left leg. I had seen it in China two years ago! It appeared to be with a female, but we could not find a nest. On the way back we checked a small island, and Egor flushed a spoonie from his feet – it had a clutch of four eggs. On our way back we went past a Kamchatka Brown Bear (Ursus arctos beringianus) with two cubs, which was nice to see from the safety of the boat! It had been a very successful day in the field. We wanted to put the final tag on a bird that already been caught and flagged but had not been seen away from Meina, as it might just lead us to new moulting areas. There were two such birds, both clutches were taken for headstarting and were replaced with dummies. Catching these birds was not going to be so easy as they knew what a walk in trap was. The first one we tried the next day would not go in the trap, so we went home and came up with a new plan. Pavel watching the nest trap. Photo by Nigel Clark. Lime 32 refusing to go into the nest trap. Photo by Nigel Clark. Pavel having just caught the female spoonie! Photo by Nigel Clark. The next morning we went to try the second pair and, as females normally incubate at night and males in the day, we were surprised to catch the female, who had been seen in Jiangsu last autumn. We then went back to the pair we had tried to catch the previous day, but this time set a spring trap over the nest. The bird did not know what a spring trap was and so was quickly caught and tagged. In the evening there was a party as three of the team, including me, had birthdays while in Meina. It was great to relax in good company and reflect on that fact that we might now be able to piece together one more part of spoonies life, so that we can more effectively conserve them for the future. What an incredible report. Thanks Nigel/Rebecca for passing this along. I am so glad you had such expert help to get to Meino Nigel. Evgeny and Elena are the best aren’t they? 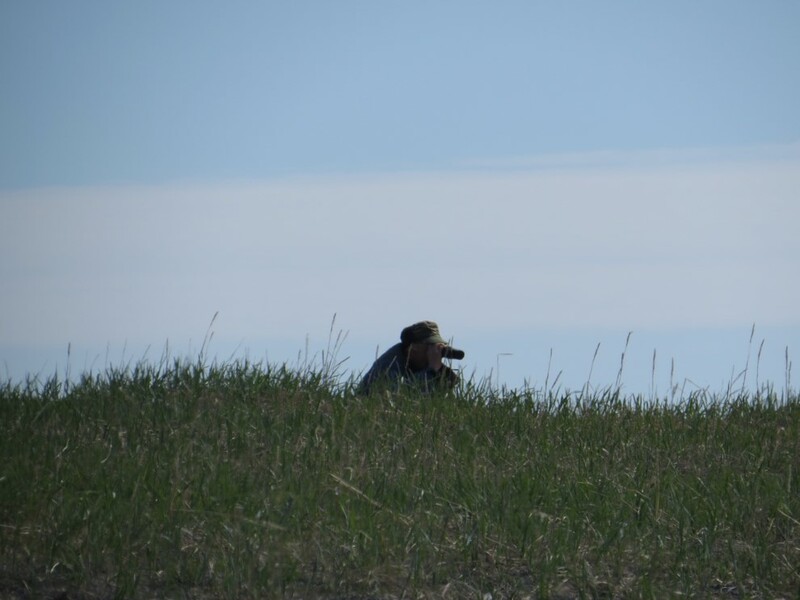 Thank you so very much Mohamed bin Zayed Conservation Fund for making this possible as well as all the efforts of WWT and Birds Russia as well. Waiting with bated breath for the data from the 2017 tagging efforts.